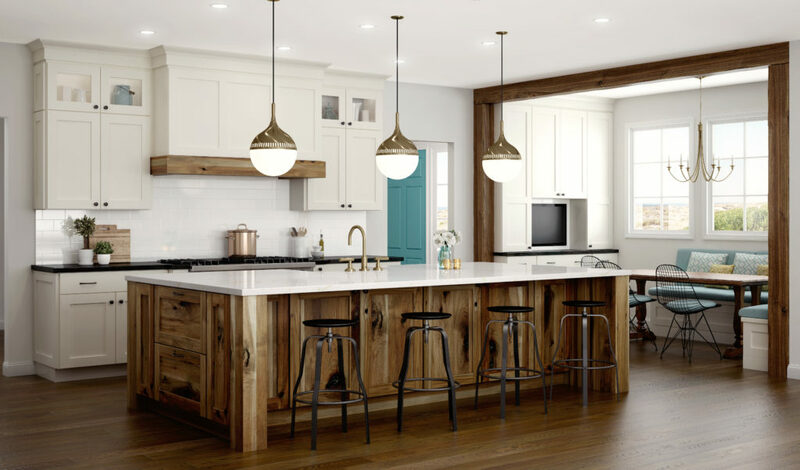 When lighting your kitchen properly you must consider the four types of lighting. We previously covered two of them, task & ambient on our website for your viewing. Today we will cover the other 2 types of lighting which are decorative & accent lighting. Although task & ambient lighting are the foundation of lighting, accent & decorative lighting are just as important. The finishing touches will ensure that your remodeling investment will give you the most return in the resale value of your property. Decorative lighting, the architectural bling as some call it, is the 4th layer of interior illumination. Chandeliers, pendants and sconces are examples of this lighting. This lighting can serve other purposes also while becoming accessories to ensure your home looks it’s best. It’s like the jewelry of the home, the sparkle & shine! This is where your character and style comes to play, so have fun choosing that signature piece. Now that you know about all of the 4 types of lighting you are well on your way to lighting your kitchen properly. Remember when shopping for decorative & accent lighting to keep in mind these are your accessories & finishing touches. Finishing touches make all the difference in the world and besides you wouldn’t want to spend all that money on a kitchen remodel for it to turn out looking unfinished. Like us on Facebook & look out for our full blog called “Properly Lighting Your Kitchen” coming soon on our website.